NASA’s Aerospace Safety Advisory Panel (ASAP) have recommended that NASA personnel embedded at commercial companies should be rotated, in order to avoid them “going native”, which they fear threatens rule bending as the teams’ working relationship becomes closer over time. Meanwhile, SpaceX are waiting on decision to see if they can combine their next two Dragon COTS missions. 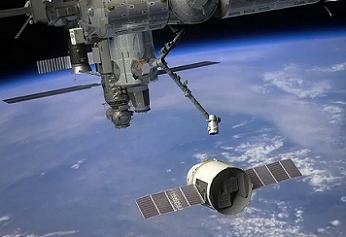 Two main arms of commercial association with NASA are currently being worked, with the initial cargo resupply efforts via the CRS (Commercial Resupply Services) contracts and the interim work on the returning domestic US crew capability for the International Space Station (ISS) via the Commercial Crew Development (CCDev) initiatives. 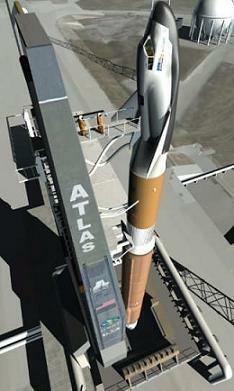 In the program which is also known as COTS (Commercial Orbital Transportation Services), SpaceX – with their Falcon 9 launch vehicle and Dragon capsule – are by far the best known commercial company in the public arena, as they aim to build on their cargo resupply progress with the role of launching crew to the ISS. NASA notes on their progress have mentioned no issues on both their cargo and crew efforts, as SpaceX build towards making their debut arrival at the orbital outpost next year, which would mark a major boost for both NASA and the commercial aspirations of taking over Low Earth Orbit (LEO). A decision is due on whether SpaceX will be allowed to combine the second and third demonstration flights to the ISS, which would result in a full mission through to the arrival at the Station. This decision is believed to be imminent, and will be made via Human Exploration and Operations (HEO) Mission Directorate Associate Administrator Bill Gersteinmaier. From the NASA side, only one real concern has been noted over recent months, relating to “Secondary Payloads” riding with the Falcon 9 into orbit. Ranging back to an an agreement to launch 18 ORBCOMM Generation 2 (OG2) satellites as early as the fourth quarter of 2010 through 2014, the delivery of the second-generation satellites into Low Earth Orbit (LEO) was set to be carried out on the Falcon 1e launch vehicle. 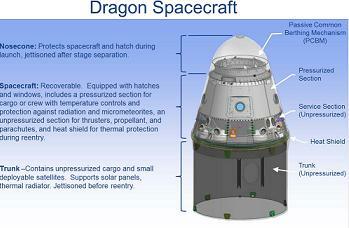 However, SpaceX – working to further maximize the cost-effectiveness of their COTS/CRS missions – decided to includ the additional payloads as passengers on the Falcon 9′s second stage, allowing them to be deployed after the Dragon separates from the Falcon 9. It is currently understood that two ORBCOMM satellites will ride uphill with Falcon 9 during the C2/C3 flight, which caused ISS managers some interest from the standpoint of a potential collision risk with the ISS. As such, NASA are using their experienced Monte Carlo analysis methods to clear this concern. Nothing has been noted since, with only positive notes on progress towards a likely positive decision on combining the flights. Given the Monte Carlo analysis is likely to be sensitive in nature, only a note on a positive or negative outcome would be expected. However, NASA source information on Monday has pointed to different problem, this time with the “Stakeholders” – notably the Russians, who appear to be unsatisfied with the “performance data” supplied to them from the COTS 1 flight. The scenario outlined by the source information points to a potential negative decision resulting in the COTS 2 mission in January, 2012 – which was the latest placeholder for the combined C2/C3 mission – prior to the pre-planned C3 mission taking place later in 2012. It was also stressed all parties aren’t too far apart and thus the path to C3 isn’t threatened – providing C2 enjoys a nominal mission – or that meetings over the coming days may be able to iron out any concerns to allow the combined mission. Due to the secretive nature of both the Russians and SpaceX (due to commercial and contractual reasons), it is likely no decision will be known until it is officially announced by NASA. No date has been set for such an announcement at this time. As mentioned, NASA are closely tied in with the main commercial companies, allowing them to monitor on the progress being made on their CRS and CCDev milestones. 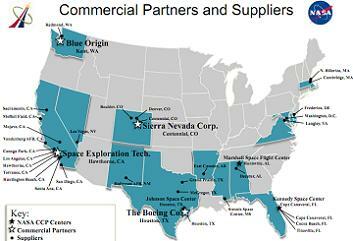 This embedded approach involves actual NASA managers working alongside the commercial companies in an oversight role. 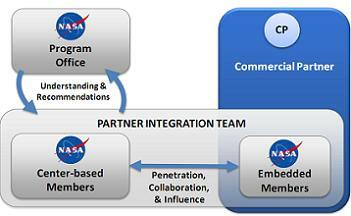 Also known as Partner Integration Teams (PIT), their role was one of the subjects at the ASAP Third Quarterly (2011) meeting, which cited concerns about NASA workers “going native” and becoming too close to their commercial collegues, which may threaten how objective they are in reporting back to their NASA bosses. “Finding: The Commercial Crew Program (CCP) will utilize embedded PIT members to closely follow and guide commercial partner design processes to help ensure that their result meets NASA expectations and requirements. The Panel recognizes the importance of this method of obtaining insight and encourages it,” noted meeting notes, which were sent to NASA administrator Charlie Bolden. As such, the ASAP reccomends that embedded NASA PITs should be rotated, on a tour of duty cycle, so as to avoid NASA teams getting too close to their assignment. “Recommendation: The Panel recommends that the CCP develop a written policy specifying team rotation schedules based on tour of duty, milestones, or other appropriate criteria, to ensure a fresh set of eyes are always protecting the government’s interest for the insight portion of the acquisition strategy. Although meeting notes show it was “interupted” by the inclusion of a passionate letter to reverse the decision to retire the Space Shuttle fleet (a specific article will follow), ASAP Chair, VADM (Ret.) Joseph W. Dyer, expanded on this PIT rotation idea, whilst also taking time to once again note his concerns with the entire commercial program – as he briefly highlighted the ‘big rocks’ of the meeting. 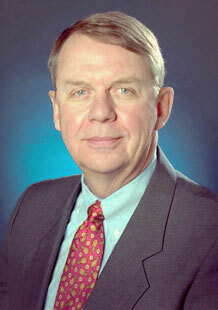 “There is still tremendous uncertainty associated with the CCP cost estimate. The range extends from $1B to $10B, and the estimate’s fidelity continues to be less than satisfying. The budget is the ‘elephant in the room’. The budget to sustain at least two competitors, operating under fixed-price contracts, into design and development looks to be exceedingly challenging. There is an issue with risk acceptance. “Over the last four years, the work on classic NASA programs has clearly articulated the responsibility, authority, and accountability for risk trades and requirements approvals, but that has become clouded as we move into the commercial space era. The ASAP will recommend that some work be done in clarifying that and promulgating where risk will be accepted. In summary, it was noted that the Panel’s significant concern with regard to the wide spread in the cost estimate and the uncertainty and shrinking size of the budget for commercial space execution. “Clearly, the adverse impact and stress on safety increases inversely to the budget – as the budget goes down, things get tighter, shortcuts are pursued, and bad things can happen,” the notes added. Overall, the ASAP appear happy with the roadmap to the commercial companies taking over the main role of LEO – thus allowing NASA to focus on Beyond Earth Orbit (BEO) exploration – though Admiral Dyer further expanded on his concerns, which included the PIT tour of duty recomendation. “They (Commercial) continue to move forward with how they are going to manage through CCDev 2, which is where they are now, to go to the third stage, which will be certification and integration,” the meeting notes added. “There are several issues. They will have a two-board structure to manage this – a Technical Review Board and a Program Control Board. Most of the actual, detailed activities will be handled by the commercial partners themselves. NASA will perform oversight at a high level, consistent with the more ‘hands-off’ commercial approach that is being taken; however, it does raise concerns with the ability to have adequate insight to provide appropriate oversight. Citing that the ASAP have – for three years – been stressing the need to have documentation that specifies how safe is safe, what the certification requirements will be and how they will be verified, Admiral Dyer is concerned that NASA are yet to prove they have a robust way to evaluate whether or not the requirements are being met. “With those elements not being complete, especially at this advanced point in the program, it is virtually impossible for the partners to be reasonably confident that they will satisfy standards that are not yet official and for NASA to develop a mechanism to monitor that which they have yet to explicitly define,” the notes continued. “This is a longstanding problem. “The PIT raises other issues – the ability to have the granular insight into what is going on is vital; however if the PIT is constantly working with a given partner, over time there is a tendency to ‘go native’ and inadvertently be less objective since they will be less likely to see issues with ‘fresh eyes’. What is the plan to mitigate this risk? “When the Panel raised the question on whether there is a plan or a formal way to rotate the PIT members, (NASA) indicated that they have a very large budget for travel, which would enable PIT members to go back and forth, (but) indicated that at this time there is no formal mechanism by which that would be achieved. It is not known at this time if NASA will agree to the recommendations, although it is unlikely they would require immediately implementation due to what is currently early days of the CCDev partnerships. ASAP are also deemed to be conservative by nature, as was seen during their negativity to adding any additional shuttle missions, citing safety issues, which drew a rare retort from the Space Shuttle Program (SSP) management at the time. (Images: Space X, NASA, L2 Documentation) (As the shuttle fleet retire, NSF and L2 are providing full transition level coverage, available no where else on the internet, from Orion and SLS to ISS and COTS/CRS/CCDEV, to European and Russian vehicles.